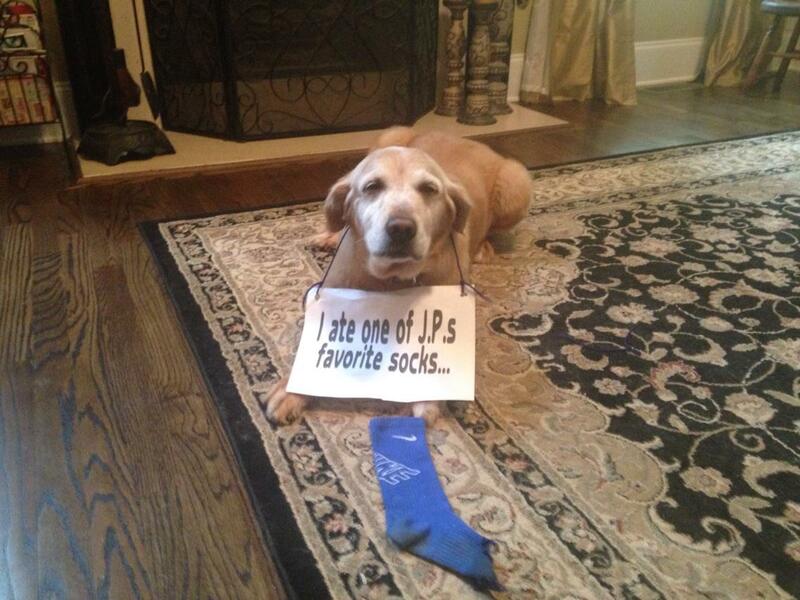 Sadie loves socks and even though she is a mature dog and should know better, she cannot resist devouring any sock she finds. She especially like’s our 12 year old son, JP’s expensive Nike socks. Posted January 11th, 2016 . I feel your pain. LOL My sock thief Echo is the reason I had to go out and buy a dozen pairs of socks. That’s a great senior face!! I’m sure you count your blessings.